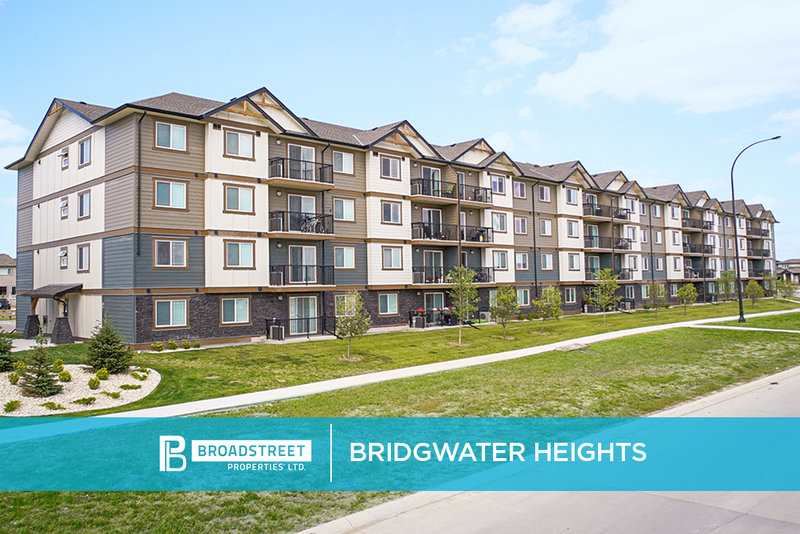 Broadstreet's Bridgwater Heights offers 1, 2, and 3 bedroom pet friendly apartments on the southwest side of Winnipeg in the popular new community of Bridgwater Forest. This modern apartment community is just minutes from Bishop Grandin Boulevard and nearby shopping including Walmart, Costco, and Crampton's Farmers Market. For students attending classes at the University of Manitoba, the school is just a few minutes away. Inside your spacious, open-concept apartment, you'll feel at home with in-suite laundry, large closets, and a private balcony or patio. The surrounding acres of mature forest, lakes, and winding paved pathways offer plenty of outdoor activities to enjoy. Bridgwater heights is encompassed by natural beauty and located only steps from all amenities, making it a wonderful place to call home.